SlingMedia and its associated Slingbox are synonymous with place-shifting TV programming. Connect a SlingBox into a satellite or cable TV box, and you can then view your cable or satellite feed from anywhere in the world. Whatever can be viewed in the living room can be viewed remotely. Jamie and Todd chat with Andy Panizza about the latest developments from SlingMedia. The Slingbox M1 ($149) is the entry-level Slingbox and it brings Wi-Fi connectivity to the whole Slingbox range for the first time, winning it PC Magazine’s Editor’s Choice. The Slingbox 500 ($249) introduced SlingTV which overlays program guides and additional information onto the home TV screen as well as providing place-shifting. Both models are available now. 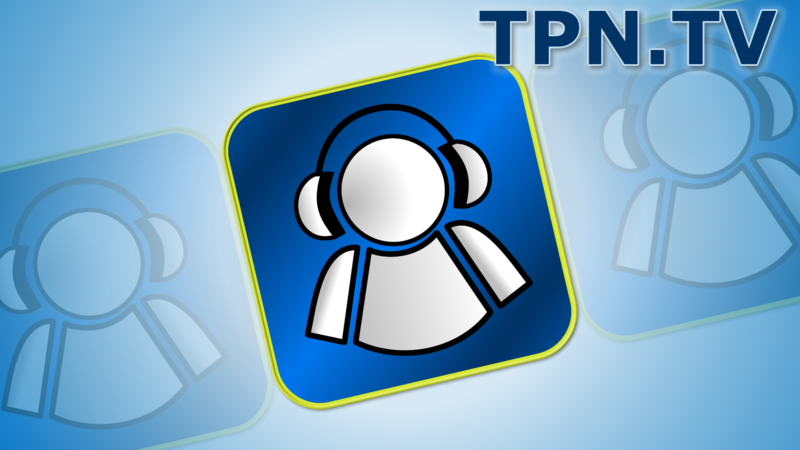 Diane Bernard of FLM.tv joined the TPN CES Live Stream coverage. 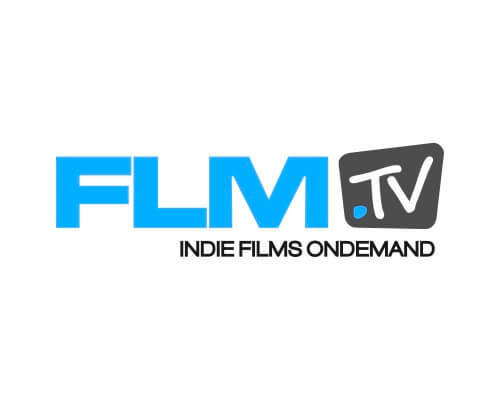 FLM helps independent companies be able to monetize their films. FLM helped out by working with social television so viewers can help with a second screen app. FLM has full engagement in a view of a film. The party watch allows you to find out what people think. The cast could be sitting in front of web cams answering questions to those watching. With social networking options, you can chat with anyone or just your friends. Integrating it with the technology allows creators to keep people focused on one area. That way they can get full reaction when people watch the TV show, short, or movie. Biscotti‘s TV phone is a small camera unit that sits on top of your big screen TV, connecting to the TV via HDMI and to the network via WiFi. Once connected up, owners can make high-definition video calls to other Biscotti owners and Google Video Chat users. And you will not believe how small the camera unit is. Todd chats to Matthew Shoemake to learn more. The TV Phone uses an HDMI pass-through technology, meaning that there’s no need to change channels when receiving a call as the Biscotti notifies users via a pop-up message on screen. By using Google Video Chat, the Biscotti TV Phone can connect to any device that has a Chat client, whether it’s Android, iPhone or a PC. Connectivity with other video clients will be forthcoming, but no details just yet. 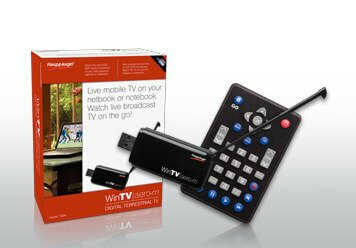 If you thought that the WinTV adapters from Hauppauge were only a convenience when traveling once your reached the hotel room, or a way to keep up with the game from a coffee shop where there aren’t TV’s tuned to a local station, you need to take a fresh look (as a passenger, of course) at Mobile Digital TV. In motion. For less than $70, you can get a USB plug in adapter that converts your Windows laptop into a Digital TV that can receive broadcasts in a moving vehicle while in traffic, on a trip or on the open road. Remember when you went out to the woods to camp? Remember the tents with no TV or satellite? Remember the tailgates with just the little Webber in the back? Dish Network has the Weinguard mobile HD satellite. It is the dish that you can watch HD programming while on the road. The best part is that Dish offers monthly plans so you are not paying for a service that you don’t use year round. So if you are the travelling enthusiast, the rock band or just the tailgater that wants to never miss the action, Dish Network has the answer for you.